4 Ways To Increase Your home, and Office Internet Speed. Hello guys, if you’re like me who has access to over 70Mbps upload and download internet speed all year round then this post will just be like a refreshment to your homes and offices, but if your that guy that pays a huge amount of money to a vendor for 2 or 3Mbps of internet speed, I think you should read each line of this post. 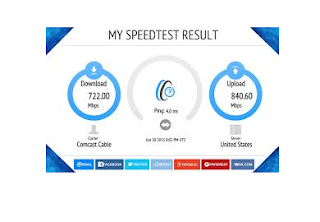 Everyone want fast internet at any time, slow internet is always frustrating and annoying, auditing your network infrastructure frequently might not really give you the best if you don’t take the necessary measures to keep your internet speed fast. The first thing I want to talk about is policing your network with a cyberoam. This is one of my favorite network tool, because it does even much more. Cyberoam, is a Sophos company, secures organizations with its wide range of product offerings at the network gateway. Cyberoam leverages the power of multi-core processors, offering enterprise-grade performance, in its appliances. A Cyberoam is like the police on every check point, who check and make sure that you have all the necessary requirement to drive, so he brings out his list and check if you have driving license, or permit, fire extinguisher, spare tire and all the rest after checking all these he will then decide to let you go, only if you pass the test, but if you didn’t he will either arrest you or send you back to where you coming from. If you follow the scenario above and configure your internet this way using the cyberoam as an access list you will then have full control of your internet speed all the time. A part from all these, with a cyberoam, you may not need antivirus installed in your system. Port disabling and port filtering: Away from cyberoam because of its cost, you can do port disabling and port filtering, this protocol will disable any port that Is not being used, help in preventing intruders from accessing the through the network one of these ports. This process involves a technique in which you will selectively disable a TCP and UDP ports on computers or network device. This process enhances the network and ensure that no traffic, expect for the protocol that the admin has chosen to allow, can pass through an open port. This protocol work by examine the packet’s header, source address, destination address and port number. Meanwhile you should also consider that a packet sender can anonymously fake his IP address or even the data stored in the header. You can implement this protocol in firewall and hardening devices. In organizations ports above 1024 are mostly blocked for security reasons. ACL :The third method to make your internet speed really fast is by implementing access list on your network. When access list is active Mac addresses are being compared to the list in other to either grant or deny access to the client. So you should implement ACL as MAC address filtering. Proxy server: in this system, you isolate internal clients from server by downloading and storing files on behalf of the clients and if it does not have data cache, it can generate a complete new request packet using itself as sources or simply relay the request. This system improve your internet experience and reduces network traffic by providing frequent used resources to client from a local source without going to the internet over and over again. How I increased my company’s internet speed for free. How Fast Is Your Internet Speed ?. Using Office or public Wi-Fi ? This What You Should Know. Connecting Multiple Offices To The Main Office Using Mikrotik EOIP. Simple Ways of Subnetting Internet Protocol Class C address. ← My Life As A Blogger.